Welcome to Telecast Thursday. Today I'll show you what to do with quilt batting scraps that seem too small to be worth keeping. Don't throw them out! 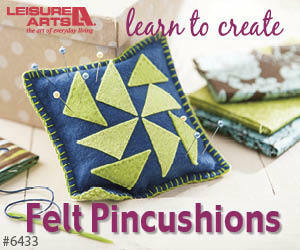 Use them to create sweet little yo-yos that can be added to your projects for embellishment. At Chatterbox Quilts, we create new videos every week. Subscribe to our Youtube channel so you'll receive automatic notifications when a new video is published. If you enjoy our videos, please like and share them with your crafty friends.